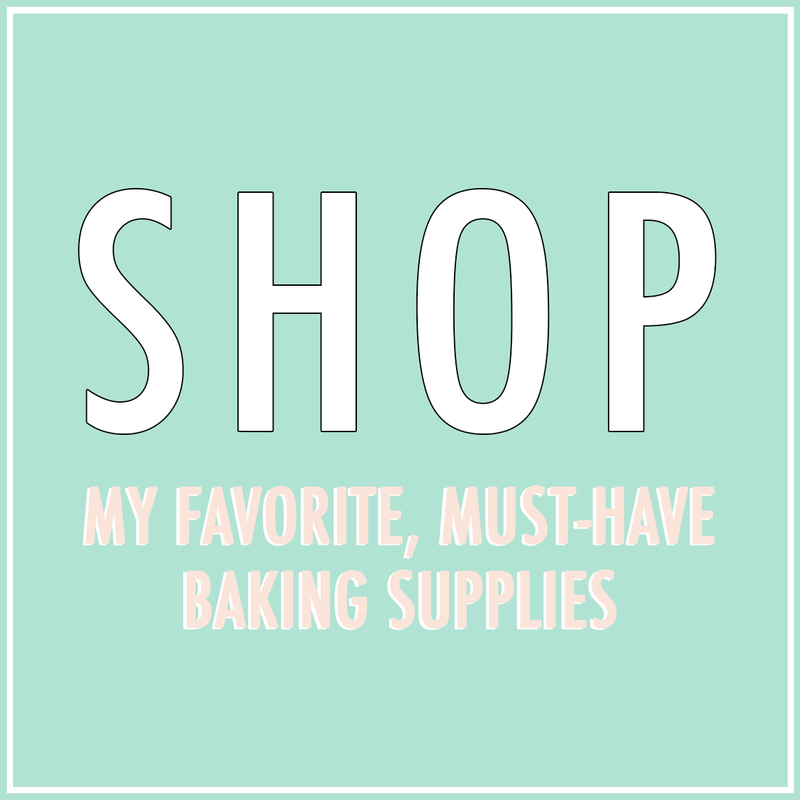 I just love baking during this time of year – partly because my kitchen doesn’t become a hotbox with the oven on (as it does in the summer), but also due to the wide array of seasonal flavors that all work so well in baked goods. Having a superfluous selection of seasonal pre-made items at the grocery stores also inspires me to try out new things. I think there’s over 35 pumpkin specific items at Trader Joe’s right now, so I decided to give a couple of them a try. 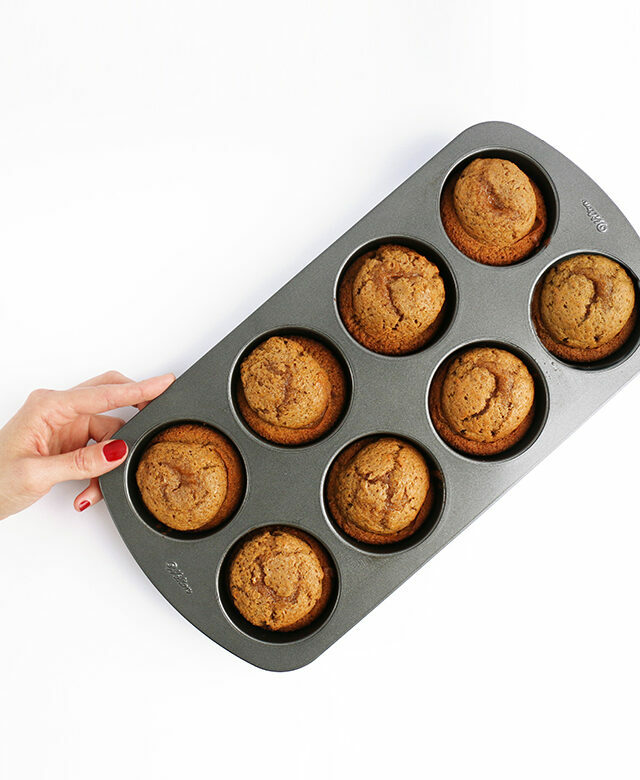 I went with the pumpkin muffin mix and baked the batter in extra large muffin tins to get taller than normal muffins that are extra moist on top. [Sidenote: THIS Wilton pan is amazing and if you like to bake, it should definitely be in your pan collection!] 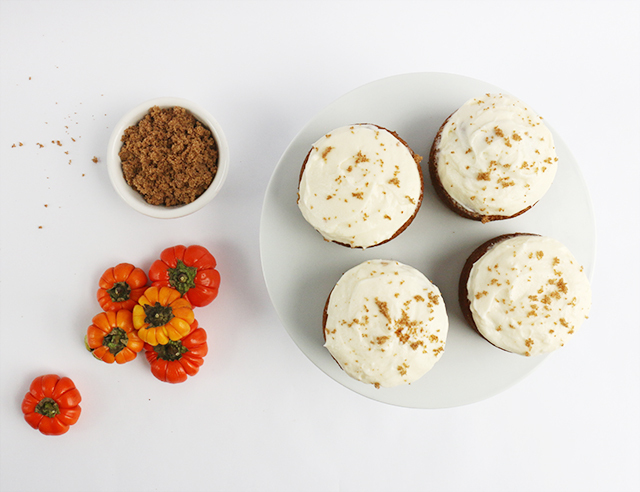 I topped my pumpkin muffins with a cream cheese frosting which was so darn delicious. However, next time (and there definitely will be a next time!) I’ll probably just fill them with the cream cheese frosting instead of adding the frosting to the top, as the muffins are so rich that I’d prefer to have the flavors together with each delicious bite. I’ve provided my go-to cream cheese frosting recipe below. 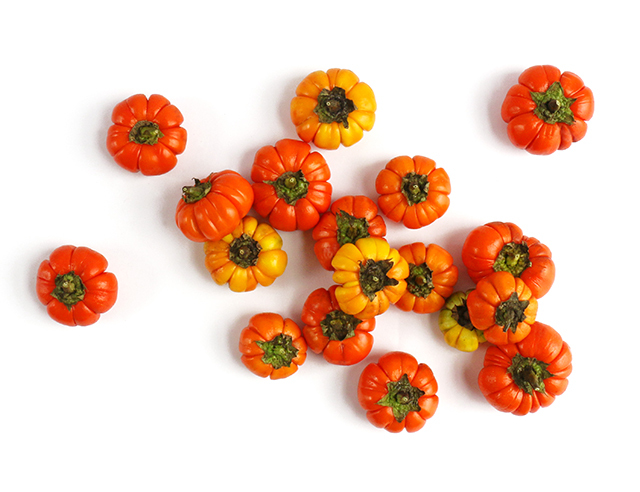 I also picked up one of those mini pumpkin trees from TJ’s, and was going to use them to top some of my cakes…but then I discovered the “mini pumpkins” are actually ornamental eggplant and that seemed a little too weird for me. If I was to make these for kids, I’d just throw on a cute candied pumpkin to the top. For my cream cheese frosting, I always stick to this basic recipe below. Directions: Beat the butter and cream cheese together in a mixer. Once mixed, keep the mixer on low and gradually add in the powdered sugar and vanilla. What results is a delicious and fluffy cream cheese frosting that couldn’t be any easier to make!